Toledo, Ohio, February 16, 2012 – SSOE Group (www.ssoe.com), an international engineering, procurement, and construction management (EPCM) firm, announces the promotion of Betsy Hurner to Marketing Business Leader, Senior Associate. Betsy started her marketing career at SSOE nearly 12 years ago as a marketing intern through an internship she received through The University of Toledo. Betsy has held positions of increasing responsibility from her days as an intern including Operations Marketing Coordinator for the Industrial Process Team, Corporate Marketing Coordinator, and most recently Corporate Marketing Manager. 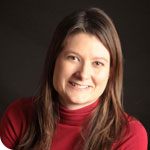 Betsy received her MBA from the University of Toledo in May 2007 and was Valedictorian of the College of Business in May 2001 when she graduated with a Bachelor of Business Administration. Both degrees were earned with concentrations in marketing. In Betsy’s new position, she is responsible for creating and administering marketing plans for our key sectors and leading the teams needed for implementation. In addition, she will now be responsible for the management of SSOE’s research function. “Betsy’s focus on driving the business, continuous improvement, and openness to change has allowed her to easily transition into her new role and responsibilities. She has been a great asset to SSOE’s past growth and undoubtedly will continue to be in the future.” said Catherine Malicki, SSOE’s Vice President and Global Director of Marketing / Public Relations.